The legendary Shonen Jump series, now available in English for the first time, in a deluxe edition featuring color pages and newly drawn cover art. 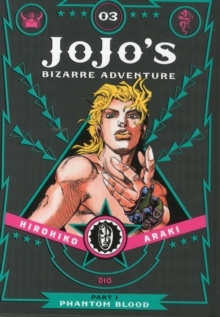 In the conclusion of the Phantom Blood Arc, Jonathan Joestar and his mentor Zeppelli continue their pursuit of the villainous vampire, Dio! But to get to him, they must first face down his murderous henchmen! In battle after bloody battle, JoJo and Zeppelli are pushed to their limits and beyond!